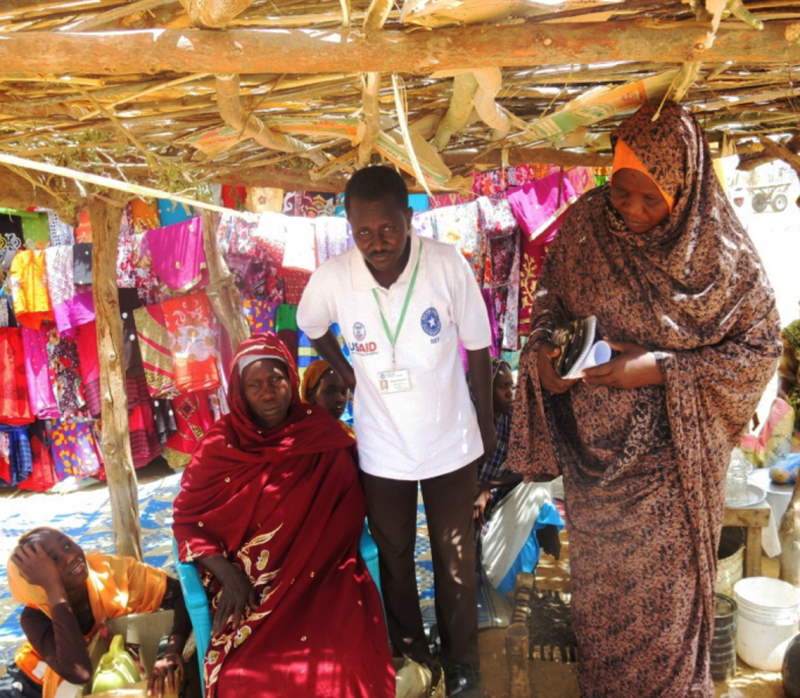 DARFUR – Near East Foundation beneficiaries are known to be industrious and inspired when starting their enterprises. In Sudan, the beneficiaries of NEF and the United States Agency for International Development’s Office of Foreign Disaster Assistance’s Resources, Livelihoods, and Security project are no different. 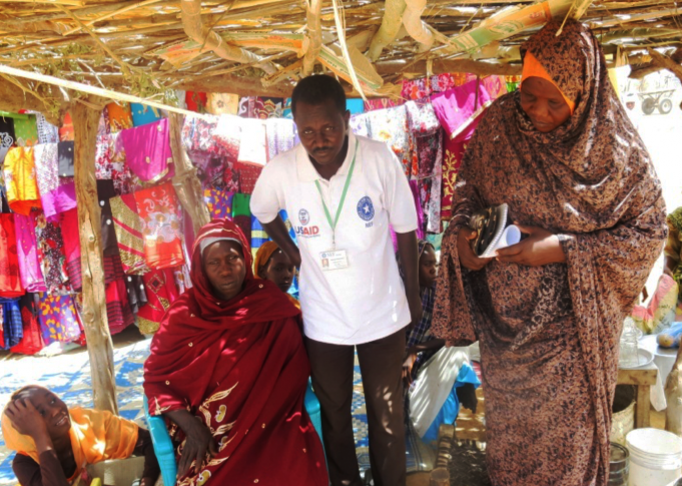 Walking through the markets of Abata, a small area southwest of the Central Darfur State capital of Zalingei, you will find Hawa Zakariya Mohamed, an NEF beneficiary and cloth seller. Hawa, 36, has a recently widowed niece with two children who fell on hard economic times. Hawa’s niece, 28, did just that. Using the tools and training Hawa taught her from NEF’s workshops, her niece began to sell traditional Sudanese foods in the same marketplace. This story is made possible by the generous support of the American people through the United States Agency for International Development (USAID). The contents are the responsibility of the Near East Foundation, and do not necessarily reflect the views of USAID or the United States government.